At CGMC we have a continuing programme of child health surveillance. The doctors examine all babies at eight weeks and our health visitors check their development including hearing and vision over the following four years. This is run by our Health Visitors at Victoria Park Medical Centre on Thursdays between 10.00am and 11.30am and at Westonzoyland Surgery on the 3rd Tuesday of each month between 10am and 11am. 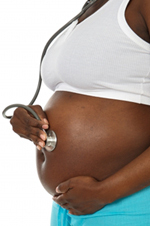 All the doctors offer antenatal care, which is usually shared with the community midwife. On confirmation of pregnancy by your GP, you will be referred to the midwife who will contact you to make an appointment to visit you at home to discuss your future care and delivery. If it is your first baby or you have had complications with pregnancy in the past or have other risk factors, you may be referred to a Consultant Obstetrician at Musgrove Park Hospital otherwise the midwife will look after you throughout your pregnancy and delivery and until ten days after delivery when care is handed over to the Health Visitors. A post-natal examination of you and your baby by the doctor at eight weeks after birth is also recommended; please tell the receptionist the appointment is for a post-natal examination as you will need a longer appointment for this examination. We usually arrange for your baby to have their first immunisations at the same visit. All the doctors are pleased to give family planning, contraception and sexual health advice during ordinary surgeries. In addition, the practice nurses can also advise on these issues. We are equipped to carry out a range of minor surgical procedures. Please make an appointment with Dr Upton to discuss a condition that you think might be helped by a minor operation. 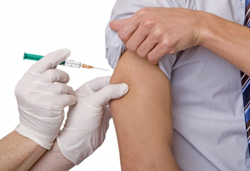 Children: Immunisations are given by the Practice Nurses. Reminder cards are sent by the Child Health Department at the recommended intervals for you to make an appointment with the nurse. If you think your child has missed any vaccinations, please speak to the health visitors or practice nurses. It is important that all children are protected and we strongly recommend that all children have the vaccinations that are offered, including whooping cough and MMR. Adults: All adults should be immunised against tetanus and polio and the practice nurse will be happy to arrange this for you. Influenza vaccinations are normally available in October and November for the over 65s and those suffering from chronic diseases: diabetes, asthma, heart disease or kidney disease or have a lowered immune system. People living in residential homes are also advised to have a flu jab. You may also be eligible for a pneumonia jab if you are over 65, have no spleen or suffer from one of the conditions mentioned above. New ideas and new drugs are being used to help asthma sufferers all the time and we run a regular asthma clinic to provide the best possible care for patients suffering from this condition. This clinic is led by one of our practice nurses who specialises in the treatment of asthma. Please make an appointment at reception. If you are a diabetic, regular check ups are an important part of your treatment. The clinic is led by Dr Pal, who specialises in the treatment of diabetes and you will normally see the practice nurse and doctor on alternate appointments. Please make an appointment at reception. We provide up-to-date health information and advice for travellers as well as holding a stock of vaccines for patients travelling abroad. Please contact the practice nurse, if possible at least two months prior to travel, to find out what you may need. You will be asked to complete a Travel Advice Form (download below) detailing the countries you intend to visit and the type of travel you are intending to undertake, which will help the nurse to identify the vaccines you require. Please remember that for diseases such as malaria you will need to commence tablets several weeks before you go, so early notice is essential. It is important to make this initial assessment as early as possible - at least 6 weeks before you travel - as an appointment will be required with the practice nurse to actually receive the vaccinations. These vaccines may have to be ordered if they are not a stock vaccine. Your second appointment needs to be at least 2 weeks before you travel to allow the vaccines to work. Some travel vaccines are ordered on a private prescription and these incur a charge over and above the normal prescription charge. This is because not all travel vaccination is included in the services provided by the NHS and therefore may be a chargeable service. To help us offer the appropriate advice, please download the travel advice form and return to the surgery - you will be contacted by a member of staff to discuss your pre-travel health requirements. It is not possible to provide all services under the National Health Service and the following table therefore shows the services for which you may have to pay. A list of current charges is available and is included here. These services are available to our registered patients only. If you have any concerns about the level of fee involved, please discuss this with your doctor prior to requesting the service. Why do GPs sometimes charge fees? The National Health Service provides most health care to most people free of charge, but there are exceptions: prescription charges have existed since 1951, and there are a number of other services for which fees are charged. Sometimes the charge is made to cover some of the cost of treatment, for example, dental fees; in other cases, it is because the service is not covered by the NHS, for example, medical reports for insurance companies. It is important to understand that GPs are not employed by the NHS, they are self-employed, and they have to cover their costs - staff, buildings, heating, lighting, etc - in the same way as any small business. The NHS covers these costs for NHS work, but for non-NHS work the fee has to cover the doctor's costs. The Government's contract with GPs covers medical services to NHS patients. In recent years, more and more organisations have been involving doctors in a whole range of non-medical work. Sometimes the only reason that GPs are asked is because they are in a position of trust in the community, or because an insurance company or employer wants to be sure that information provided is true and accurate. 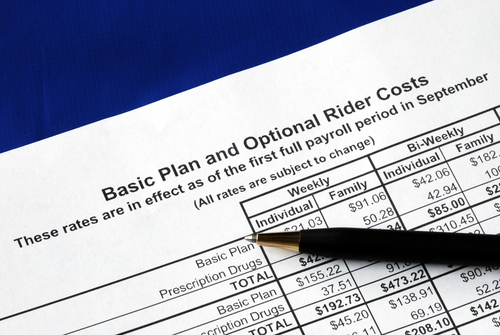 Is it true that the BMA sets fees for non-NHS work? The BMA suggests fees for non-NHS work which is not covered under a GP's NHS contract, to help GPs set their own professional fees. However, these fees are guidelines only, not recommendations, and a doctor is not obliged to charge the rates suggested. Time spent completing forms and preparing reports takes the GP away from the medical care of his or her patients. Most GPs have a very heavy workload - the majority work up to 70 hours a week - and paperwork takes up an increasing amount of their time, so many GPs find they have to take some paperwork home at night and weekends. When a doctor signs a certificate or completes a report, it is a condition of remaining on the Medical Register that they only sign what they know to be true. In order to complete even the simplest of forms, therefore, the doctor might have to check the patient's entire medical record. Carelessness or an inaccurate report can have serious consequences for the doctor with the General Medical Council or even the Police. The BMA recommends that GPs tell patients in advance if they will be charged, and how much. It is up to the individual doctor to decide how much to charge, but the BMA produces lists of suggested fees which many doctors use. Surgeries often have lists of fees on the waiting room wall based on these suggested fees. Not all documents need signature by a doctor, for example passport applications. You can ask another person in a position of trust to sign such documents free of charge. If you have several forms requiring completion, present them all at once and ask your GP if he or she is prepared to complete them all at once as a 'job lot' at a reduced price. Please note that the doctors will not sign driving licence, passport or shot gun licence applications. There is a standard charge of £12 + vat for administering non-NHS injections or providing other private (non-NHS) services.